With so many major-level events going on, there never seems to be a shortage of drama. This weekend showed that. This past weekend had an MLF Bass Pro Tour event in the Raleigh, N.C., area, while the FLW Tour hit Grand Lake. 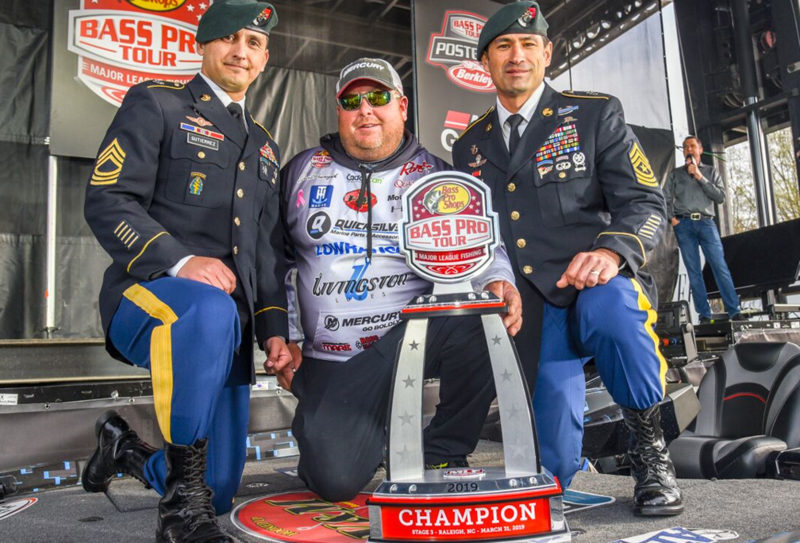 Both surprised in their own way – the incredibly great fishing in Raleigh and the incredibly tough fishing in Oklahoma – and both ended in dramatic fashion. Jacob Powroznik made a final-period rally from nearly 10 pounds back to overtake Jacob Wheeler and take home his first BPT title. Fishing Shearon Harris Reservoir, Powroznik clued in on fish spawning and picked them off with a wacky-rigged 5-inch V&M Chopstick. Meanwhile, Jeremy Lawyer and rookie Michael Matthee from South Africa actually tied at Grand, with Lawyer winning on a tiebreaker. A spinnerbait fanatic, Lawyer cycled through five different blades on any given day, including ones from Freedom Tackle and Nichols Lures, along with a host of homemade versions. His main pattern was fishing behind docks, though, admittedly, where he got bites was often random. Now let’s look at how the drama played out in the rankings. For Powroznik, his victory bumped him back into the top 20. He’s currently 18th, and he’d actually be much higher if not for a pair of poor finishes at the Elite Series AOY Championships the last two years. He no longer has to worry about those events anymore, so if he keeps fishing as he has you can probably expect him to make a run at getting back into the top 10. Meanwhile, Lawyer’s victory also bumped him into a new bracket – the top 100. He’s now 98th, but to say he’s been fishing better as of late is an understatement. His average the last 12 months is an outstanding 835.059 in any event, and he’s ranked 21st in our One-Year Majors Ranking. Look for the Missouri pro to keep climbing, as well. One angler who has no room to climb is Jacob Wheeler. The No. 1-ranked angler has now made it back-to-back second-place finishes, which is keeping him just ahead of a red-hot Edwin Evers. Yet, the angler who has been fishing just as good as either in John Cox. He made another top 5 at Grand and actually has the second-best average (858.926) of any pro in the last calendar year. Of course, Wheeler has the best at 863.503. On the flip side, Jordan Lee was threatening to take over the No. 1 spot a few weeks ago. Now? He’s slipped to 13th. Brent, Ehrler has also slid, falling to seventh. That’s allowed Brandon Palaniuk and Bryan Thrift to now be waiting in the wings in third and fourth, respectively.